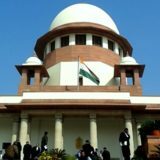 Ravada Sasikala Vs. State of Andhra Pradesh and Anr. Respondent: State of Andhra Pradesh and Anr. 20. Though we have referred to the decisions covering a period of almost three decades, it does not necessarily convey that there had been no deliberation much prior to that. There had been. In B.G. Goswami v. Delhi Administration, the Court while delving into the issue of punishment had observed that punishment is designed to protect society by deterring potential offenders as also by preventing the guilty party from repeating the offence; it is also designed to reform the offender and reclaim him as a law abiding citizen for the good of the society as a whole. Reformatory, deterrent and punitive aspects of punishment thus play their due part in judicial thinking while determining the question of awarding appropriate sentence. 21. The purpose of referring to the aforesaid precedents is that they are to be kept in mind and adequately weighed while exercising the discretion pertaining to awarding of sentence. Protection of society on the one hand and the reformation of an individual are the facets to be kept in view. In Shanti Lal Meena v. State (NCT of Delhi), the Court has held that as far as punishment for offence under the Prevention of Corruption Act, 1988 is concerned, there is no serious scope for reforming the convicted public servant. Therefore, it shall depend upon the nature of crime, the manner in which it is committed, the propensity shown and the brutality reflected. The case at hand is an example of uncivilized and heartless crime committed by the respondent No. 2. It is completely unacceptable that concept of leniency can be conceived of in such a crime. A crime of this nature does not deserve any kind of clemency. It is individually as well as collectively intolerable. The respondent No. 2 might have felt that his ego had been hurt by such a denial to the proposal or he might have suffered a sense of hollowness to his exaggerated sense of honour or might have been guided by the idea that revenge is the sweetest thing that one can be wedded to when there is no response to the unrequited love but, whatever may be the situation, the criminal act, by no stretch of imagination, deserves any leniency or mercy. The respondent No. 2 might not have suffered emotional distress by the denial, yet the said feeling could not to be converted into vengeance to have the licence to act in a manner like he has done. 22. In view of what we have stated, the approach of the High Court shocks us and we have no hesitation in saying so. When there is medical evidence that there was an acid attack on the young girl and the circumstances having brought home by cogent evidence and the conviction is given the stamp of approval, there was no justification to reduce the sentence to the period already undergone. 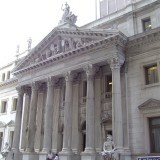 We are at a loss to understand whether the learned Judge has been guided by some unknown notion of mercy or remaining oblivious of the precedents relating to sentence or for that matter, not careful about the expectation of the collective from the court, for the society at large eagerly waits for justice to be done in accordance with law, has reduced the sentence. When a substantive sentence of thirty days is imposed, in the crime of present nature, that is, acid attack on a young girl, the sense of justice, if we allow ourselves to say so, is not only ostracized, but also is unceremoniously sent to “Vanaprastha”. It is wholly impermissible. 23. In view of our analysis, we are compelled to set aside the sentence imposed by the High Court and restore that of the trial court. In addition to the aforesaid, we are disposed to address on victim compensation. We are of the considered opinion that the appellant is entitled to compensation that is awardable to a victim under the CrPC. In Ankush Shivaji Gaikwad v. State of Maharashtra, the two-Judge Bench referred to the amended provision, 154th Law Commission Report that has devoted entire chapter to victimology, wherein the growing emphasis was on the victim. 24. In Laxmi v. Union of India and others, this Court observed thus:- “12. Section 357-A came to be inserted in the Code of Criminal Procedure, 1973 by Act 5 of 2009 w.e.f. 31-12-2009. Inter alia, this section provides for preparation of a scheme for providing funds for the purpose of compensation to the victim or his dependants who have suffered loss or injury as a result of the crime and who require rehabilitation. 25. The Court further directed that the acid attack victims shall be paid compensation of at least Rs 3 lakhs by the State Government/Union Territory concerned as the aftercare and rehabilitation cost. Of this amount, a sum of Rs. 1 lakh was directed to be paid to such victim within 15 days of occurrence of such incident (or being brought to the notice of the State Government/Union Territory) to facilitate immediate medical attention and expenses in this regard. The balance sum of Rs.2 lakhs was directed to be paid as expeditiously as possible and positively within two months thereafter and compliance thereof was directed to be ensured by the Chief Secretaries of the States and the Administrators of the Union Territories. 26. In State of M.P. v. Mehtaab, the Court directed compensation of Rs.2 lakhs to be fixed regard being had to the limited final resources of the accused despite the fact that the occurrence took place in 1997. It observed that the said compensation was not adequate and accordingly, in addition to the said compensation to be paid by the accused, held that the State was required to pay compensation under Section 357-A CrPC. For the said purpose, reliance was placed on the decision in Suresh v. State of Haryana. 27. In State of Himachal Pradesh v. Ram Pal, the Court opined that compensation of Rs. 40,000/- was inadequate regard being had to the fact that life of a young girl aged 20 years was lost. Bestowing anxious consideration the Court, placing reliance on Suresh (supra), Manohar Singh v. State of Rajasthan and Ors. and Mehtaab (supra), directed that ends of justice shall be best subserved if the accused is required to pay a total sum of Rs.1 lakh and the State to pay a sum of Rs.3 lakhs as compensation. 28. Regard being had to the aforesaid decisions, we direct the accused- respondent No. 2 to pay a compensation of Rs.50,000/- and the State to pay a compensation of Rs.3 lakhs. If the accused does not pay the compensation amount within six months, he shall suffer further rigorous imprisonment of six months, in addition to what has been imposed by the trial court. The State shall deposit the amount before the trial court within three months and the learned trial Judge on proper identification of the victim, shall disburse it in her favour. 29. The criminal appeals are allowed to the extent indicated above. Tags: CRIMINAL APPEAL NOS.406-407 OF 2017DIPAK MISRA R. BANUMATHIRavada SasikalaState of Andhra Pradesh and Anr.